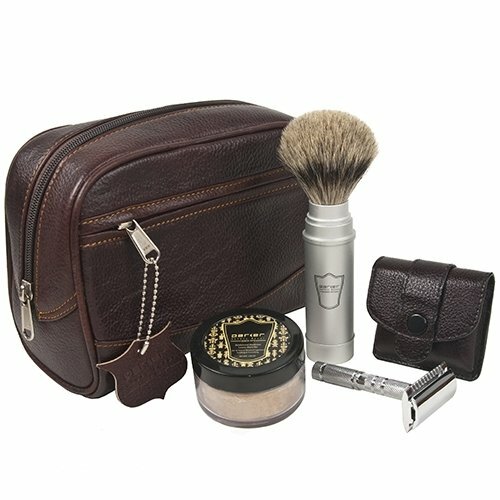 The Parker Travel Shave Kit makes a wonderful travel companion, with a Parker pure badger Shaving Brush, shave Soap, Safety Razor, and Dopp Bag. 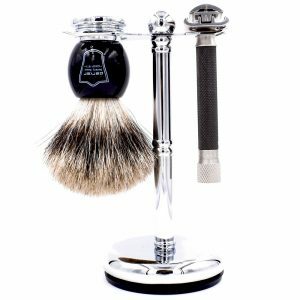 Genuine Parker A1R 4 piece travel safety razor – a wonderful double edge safety razor with a chrome plating over a brass frame. 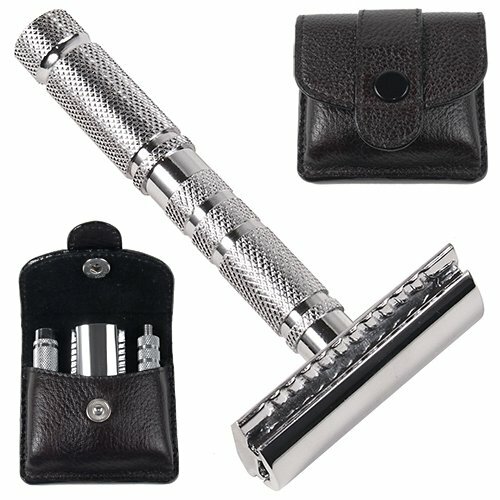 The razor disassembles into three pieces for easy storage in the travel case. It is portable for travel, but durable enough for everyday use. 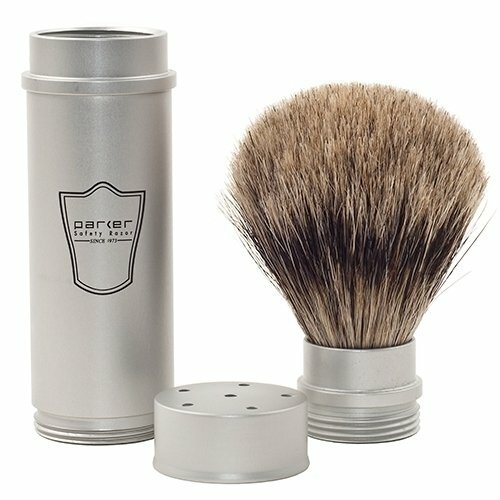 Parker 100% pure badger travel shaving brush – this is the finest travel brush on the market! It is so good that you just may want to use it every day. Why not since it’s a full sized brush? Parker’s premium sandalwood & shea butter shaving soap – comes in a watertight 50g container. It is great for home use or travel. Contains: olive oil, aloe vera, cocoa butter, coconut oil, and almond oil to lubricate and condition your skin, generating a rich and creamy lather. 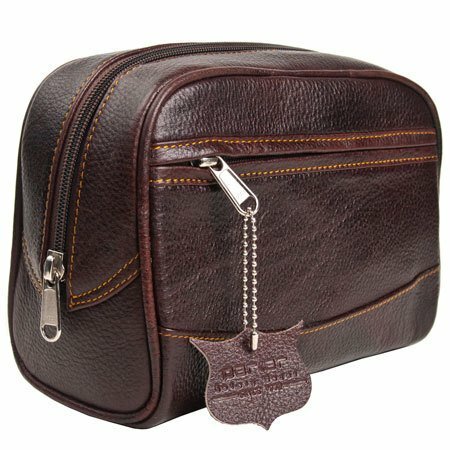 Parker’s deluxe leather toiletry bag – this Dopp kit is hand-made from durable cowhide leather. The leather construction and YKK zippers ensure premium quality. 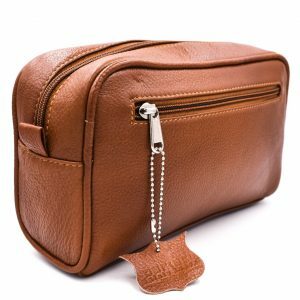 The bag also contains a functional size pocket and is full size to accommodate many toiletry items. 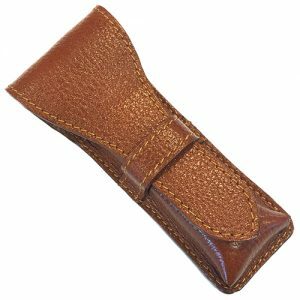 Measures 8x5x4What a great gift for yourself or any wet shaver looking for a fabulous travel companion.